In recent years I’ve sometimes had the feeling that I’m stalking Michael Bliss. Time and again I’ve wandered into a particular historical thicket, and found that he had been there ahead of me. It wasn’t purposeful, but my work continually took me there. Shirley Tillotson invited me in on a collaborative project on taxation and I consequently found myself writing about the National Policy and the protective impulse, Macdonaldian patronage politics, Toronto financiers and pork packers, smallpox in Montreal; there’s even a little bit of Sir William Osler in there. 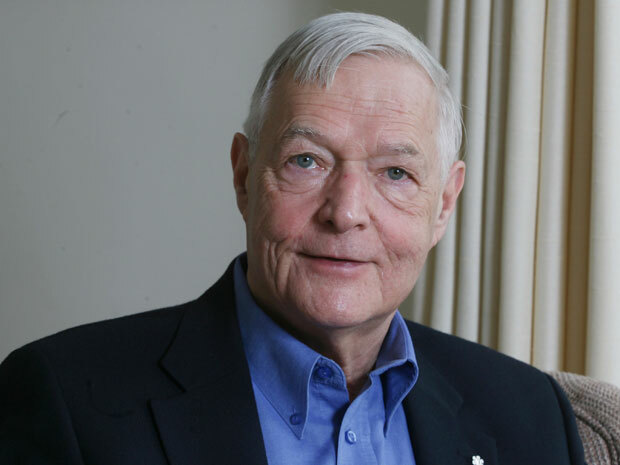 Most recently, I gave the Donald Creighton lecture at the History Department of the University of Toronto that trod on the heels of his famous Creighton lecture in reflecting on political history. I’m struck by the extent to which his scholarship holds up over time, and how little credit it gets for that. When, for example, Michael Bliss sardonically criticizes the celebratory tone surrounding reminiscences of “Canada’s swell war,” he gets attacked for taking the “swell” position. Why bother exploring the nuances of someone’s argument when there’s more mileage to be had from reinforcing stereotypes about it? Some of our contemporary political perplexities reflect that studied refusal of nuance. But good history exists in the nuances. My own inclination to see Bliss’s point of view didn’t come by chance. I was his PhD student from 1990 to 1996. I did comprehensive exams with him, ran a PhD thesis past him in successive iterations, and all the while watched him do history and reflected upon what he was doing. Rumour had it that, the previous year, a student had failed exams (with a different supervisor) because he failed to answer a question addressed in one paragraph in one book (the rumoured question: “What clause in the Treaty of Versailles led to the creation of the welfare state?”). So I did what any anxious PhD student would have done: I effectively memorized Michael Bliss’s existing books. Northern Enterprise alone had 640 pages; I knew them all intimately. I had no idea what to expect at that comps exam: I hadn’t done any course with Michael and the two or three times we got together to discuss books, conversation tended to peter out pretty quickly. He would ask me what a book said, I’d convey the basic thesis, and then there seemed nothing more to be said, given Michael’s dislike of theoretical and historiographical chitchat. In the end, the comps exam, which occurred in his office, went reasonably well. Michael took me down a line of questioning that was completely unrepresented in the reading, watched me struggle, and then confided to us all that I was almost getting to the right answer, probably would get there in time—namely, the findings in the newest book by Edward Shorter, which Michael had picked up on his way in that morning. It wasn’t done to humiliate me, just to see how I responded when I didn’t know the answer, something my peers had warned me was bound to happen in one way or another. This was intellectual jousting, under conditions that tested me severely, but the thing was done with marked civility and collegiality, in a tone of friendly encouragement. Friendly encouragement didn’t characterize all our relationships over the next few years. In fact, he always disliked my PhD topic (exhibitions) and he told me from the outset that I would have to change it. But I had an SSHRC grant to study that topic and no inkling of a better one, so I stuck to it, obsessively rewriting an introduction designed to show exhibitions were serious business, redolent of the Enlightenment’s highest ideals, but their increasingly populist flavour reflecting the nineteenth-century outcomes of those ideals. My approach was theoretical and left-wing, and it jarred with his historical instincts. There was a moment, after I submitted a draft of the first half of the thesis, when he rejected it entirely, and asked me why I had even asked to work with him in the first place. I stared at him aghast: I had thought he asked me to work with him; a signed form had appeared in my mail folder without my ever having entertained that idea. He stared back, equally aghast to hear that, and then quietly advised me to find a different supervisor. I contemplated that idea for about five seconds before rejecting it. I had come too far with Michael. Imagine now having to memorize someone else’s books! But much more important, for all our deep disagreements, I had acquired enormous respect for him. He was courteous and collegial, frank and generous. He was also reasonable, generally open to persuasion. I didn’t want to write history that only like-minded people would read; I wanted to learn how to write history that even or perhaps especially a Michael Bliss must respect. And above all, even amidst our disagreements, he and I had discovered a lot of common ground, a mutual enjoyment in thrashing out historical details together. How the heck had John A. Macdonald maintained a hold on the country for so long? This was a question that mattered to both of us even if we went to different sources and archives to understand it. All our supervisors, my friends and I discovered, found the first half-thesis disappointing and complained it didn’t look like a thesis. But when they got the full thesis, they enthusiastically backed it and us. There were so few job prospects that supervisory enthusiasm was just about all that some of us had, as we struggled to revise our dissertations for publication. I went on unemployment insurance. Michael, in England doing research for his Osler book, saw an advertisement for a researcher needed to do some work on a London teaching hospital. He insisted that I apply for it. I thought it a waste of time, but when the person who writes letters for you tells you to do something, you do it. Thanks to Michael, I spent four very happy and intellectually stimulating years in London writing a book about that teaching hospital, before coming back to Canada on the tenure track. I no longer needed letters from him after that, but we’ve kept in regular contact because, time and again, I found myself writing to him for advice and asking him to read over material. Michael Bliss was a lifelong mentor to me, my respect and admiration growing at every step. He accepted my recent stalking with his customary equanimity. Elsbeth Heaman is an associate professor in the Department of History and Classical Studies at McGill University. Her new book, Tax, Order, and Good Government: A New Political History of Canada, 1867-1917, is published by McGill-Queen’s University Press. Featured Image: Michael Bliss (Dundurn).